This post will help you with syncing your Mandrill data to Amazon Redshift. If these instructions look cumbersome you can simplify the process of syncing data from Mandrill to Amazon Redshift by using Blendo, where the whole process will be handled by Blendo and you can focus on what matters, the analysis of your data. By doing this you will be able to perform advanced analytics on a system that is designed for this kind of data, like Amazon Redshift. There are two main methods to get our data from Mandrill, the first one is to pull data out from it and the second one is to ask Mandrill to push data to us whenever something of importance happens. We will see the difference between these two solutions and how we can access data from both. In order to pull data from Mandrill, we need to access its HTTP API. As a Web API following the RESTful architecture principles, it can be accessed through HTTP. As a RESTful API, interacting with it can be achieved by using tools like CURL or Postman or by using HTTP clients for your favorite language or framework. You will need more time to read this post than integrating Mandrill to Redshift. In order to use the Mandrill API, you first have to generate an API key through your MandrillApp account. When you have created the key you can use it to access the API. You can actually have multiple keys per account something that adds versatility to the platform. In most cases with the Mandrill API, you make a POST call to access an endpoint with a JSON body containing the access key. API rate limiting with Mandrill is a bit of a more complicated matter than in most cases of APIs out there. The reason is that Mandrill is mainly an SMTP as a service platform, in most cases when we make a call to its API we do it in order to send an e-mail to someone, so rate limiting in the typical sense that we find it in web APIs does not apply in Mandrill. What is actually happening, is that every Mandrill account has a reputation and an hourly quota, the main reason that rate limiting is a bit more complicated in Mandrill is that they need to take special care of pointing out and handling potential spammers. So the hourly quota is affected by your reputation, if for example, you have poor reputation then Mandrill will reduce the number of e-mails and consequently the API calls that you can do on a per hour basis, on the contrary, if you have an excellent reputation you will be able to make more calls. Free accounts can send up to 25 emails per hour. If you want to find your hourly quota and reputation you will have to check your Dashboard in MandrillApp. Information and operation about user-defined tags. Keep in mind that the base URL might change depending on the warehouse where your application is hosted. For this reason, we will mention only the endpoints and you will have to prepend the base URL for your case. Another way of getting data from the Mandrill API is to ask it to push events to our system every time something of importance to happen. To do that, we need to set up webhooks on our system and provide the URLs to Mandrill. The platform will POST data in JSON format to these URLs every time an event is triggered. The good thing about this mechanism is that we can have the data as soon as possible in our system for analysis. Mandrill is a transactional email API for Mailchimp Users. Although in the past, Mandrill was perceived as a different product than Mailchimp, right now it is offered as a Mailchimp plugin. Mandrill is reliable, powerful and ideal for sending data-driven emails, including targeted and personalized one-to-one messages to your customers. Mandrill is designed for developers. If you are not comfortable with writing code then it would be better if you find someone before you start using it. On the other hand, Mailchimp is designed mainly for marketers so no technical skills are required to use it. Mandrill focuses more on transactional e-mails, which are different than the promotional/campaign based emails that marketers send using MailChimp. Transactional e-mails are more tailor-made for cases like one to one messages to your customers, like resetting passwords, welcoming them etc. Mandrill, as an email API, exposes all its functionality through it. So apart from being possible to execute a number of operations like sending emails based on specific events, we can also use this API to pull out data or set up our infrastructure in such a way that Mandrill will send to us data over time they are generated. In this article, we will see in detail the different ways of pulling data from Mandrill that can be useful for running our analytics. How can I prepare my Mandrill Data for Amazon Redshift? As your data are probably coming in a representation like JSON that supports a much smaller range of data types you have to be really careful about what data you feed into Redshift and make sure that you have mapped your types into one of the datatypes that are supported by Redshift. Designing a Schema for Redshift and mapping the data from your data source to it is a process that you should take seriously as it can both affect the performance of your cluster and the questions that you can answer. It’s always a good idea to have in your mind the best practices that Amazon has published regarding the design of a Redshift database. 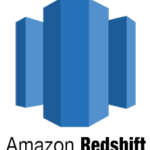 Amazon Redshift is one of the most popular data warehousing solutions which is part of the Amazon Web Services (AWS) ecosystem. It is a petabyte scale, fully managed data warehouse as a service solution that runs on the cloud. It is SQL based and you can communicate with it as you would do with PostgreSQL, actually, you can use the same driver although it would be better to use the drivers recommended by Amazon. You can connect either through JDBC or ODBC connections. How can I Load my data from Mandrill to Redshift? The first step to load your data from Mandrill to Redshift is to put them in a source that Redshift can pull it from. As it was mentioned earlier there are three main data sources supported, Amazon S3, Amazon DynamoDB, and Amazon Kinesis Firehose, with Firehose being the most recent addition as a way to insert data into Redshift. To upload your data to Amazon S3 you will have to use the AWS REST API, as we see again APIs play an important role in both the extraction but also the loading of data into our data warehouse. The first task that you have to perform is to create a bucket, you do that by executing an HTTP PUT on the Amazon AWS REST API endpoints for S3. You can do this by using a tool like CURL or Postman. Or use the libraries provided by Amazon for your favorite language. You can find more information by reading the API reference for the Bucket operations on Amazon AWS documentation. DynamoDB imports data again from S3, it adds another step between S3 and Amazon Redshift so if you don’t need it for other reasons you can avoid it. whenever you add new data to the stream, Kinesis takes care of adding these data to S3 or Redshift, again going through S3, in this case, is redundant if your goal is to move your data to Redshift. The execution of the previous two steps can be performed either through the REST API or through your favorite library just as in the previous two cases. The difference here is that for pushing your data into the stream you’ll be using a Kinesis Agent. Redshift is not designed for INSERT like operations, on the contrary, the most efficient way of loading data into it is by doing bulk uploads using a COPY command. You can perform a COPY command for data that lives as flat files on S3 or from an Amazon DynamoDB table. When you perform COPY commands, Redshift is able to read multiple files in simultaneously and it automatically distributes the workload to the cluster nodes and performs the load in parallel. For more examples on how to invoke a COPY command you can check the COPY examples page on Amazon Redshift documentation. As in the INSERT case, the way to perform the COPY command is by connecting to your Amazon Redshift instance using a JDBC or ODBC connection and then invoke the commands you want using the SQL Reference from Amazon Redshift documentation. What is the best way to load data from Mandrill to Amazon Redshift and what are the possible alternatives? A possible alternative, instead of writing, hosting and maintaining a flexible data infrastructure, is to use an ETL as a service product like Blendo that can handle this kind of problems automatically for you. Blendo integrates with multiple sources or services like databases, CRM, email campaigns, analytics and more. Quickly and safely move all your data from Mandrill into Amazon Redshift and start generating insights from your data. Help your product and customer success team to take ownership of the transactional email data from Mandrill and transform your business and customer experience.